The retail sales report which was worse than what they expected weakened the Australian dollar and now the AUDUSD is chiefly under the influence of RBA interest rates. After a short decline AUDUSD has been moving with bullish bias today. The pair is finding support at 0.72140 with resistance at 0.72520 which both lines are above the weekly pivot point at 0.71960. The EMA of 10 is moving close to the EMA of 75 in the neutral zone. The price has already hit the 61.8 of Fibonacci retracement and may continue its upward trend at the moment. The RSI is above the 50 level and the MACD indicator is in positive territory showing the price decline; moreover the Stochastic is indicating price growth. 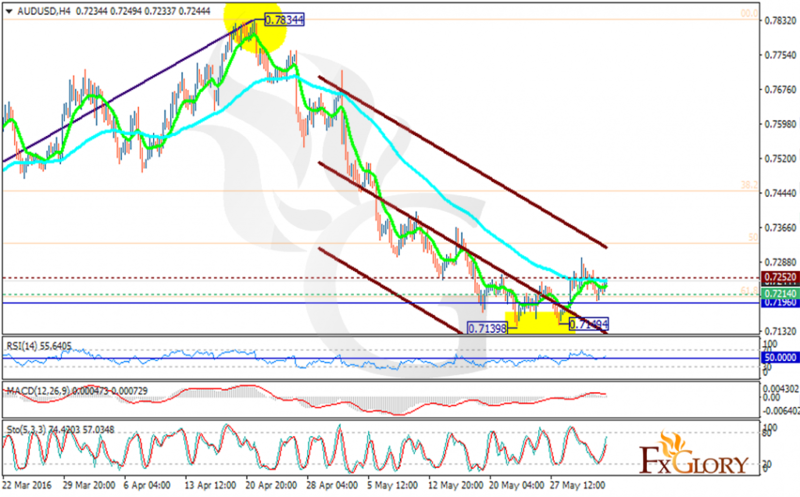 Long positions are recommended with the target at 0.7300.